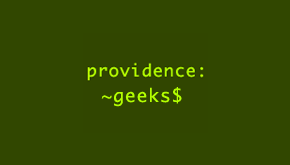 For the May Geek Dinner, we may have the perfect Providence startup story! When his 2-year-old son was diagnosed with diabetes, former jewelry industry executive Angelo Pitassi Jr. started learning about medical alert bracelets. He was unimpressed to say the least. In short order, Angelo partnered with technologist Christopher Melo, and HealthID was born. Today the Jewelry District-based startup is poised at the intersection of the jewelry business and healthcare technology, and is accepting pre-orders for its first product — HealthID Profile (or “HIP”) Bands. HIP enables first responders to pull up critical, in-depth, current health information from NFC-based bands onto a web/mobile interface. The wearer can also manage all aspects of their personal health scenario while on the go. On Wednesday, the Co-Founders CEO Angelo Pitassi Jr. and CTO Christopher Melo will tell the HealthID story, demonstrate their HIP product and give a sneak peek of where they’re headed next.